Below is a list of Direct Lenders that directly provide consumers with loan offers that may work for them. You may click on the lender’s title to hide/show in the list. It is a weekly updated list of the actual payday lenders and installment loan lenders that are currently lending in the US. Apply online! We have an easy, online application that takes only minutes to complete. You will have your approval within seconds of completing your application. Payday Loan Amount: $50 – $1,000. Maximum loan amounts vary by state and are determined during the credit decision process. The APR for a $100 single-payment payday loan may range from 260.71% to 782.14% on 14 day terms. How Is LoanByPhone different from the other direct lenders? Apply for a payday loan with LoanByPhone and you may get approved within a minute. Submit the pre-qualify form to see what you qualify for instantly without hassle. Filling out a traditional application can be time consuming and more complicated than our shorter pre-qualification form. You may have your approval within seconds of completing your application. 50 customer service specialists standing by to help expedite your payday loan. Have the cash you you need in your bank by tomorrow. Delinquent accounts may be turned over to a third party collection agency which may adversely affect your credit score. If you make a late payment or miss one entirely, you can be charged extra fees. Renewing a loan will result in additional finance charges and fees. An active checking account in order to provide you with a payday loan. Automatic renewals are not available. If you’re in need of a little extra cash between checks, LoanByPhone may be a good way to keep you going until you get paid. With an A+ rating from the BBB and applying is easy and you could see your funds deposited into your account as soon as the next business day. Currently licensed to lend Installment loans in the following states: CA, CO, IL, OH, MS, MO, WI. Payday loans are offered in the following states: AL, AK CA, CO, DE, FL, HI, ID, IL, IN, IA, IS, KY, LA , MI, MS, NE , NV, OH. Apply online or in-store! Direct lending online or at our stores, Check Into Cash makes it fast and easy for you to get the cash you need now. As a direct lender, Check Into Cash does not sell your information to any third parties or involve any extra steps with the lending process. How Is Check Into Cash different from the other lenders? Check Into Cash is a financial services provider with more than 1,200 stores in 30 states. It was founded in 1993 by W. Allan Jones in Cleveland, TN, where the company headquarters are located today. See the Check Into Cash locations on the map. Apply for a short-term loan with Check Into Cash and learn if you’re approved in a minute. Check Into Cash informs you of your application’s status in less than a minute. After approved, expect the funds to be deposited as soon as the next business day. Payday loans come with high service fees and finance charges, but Check Into Cash outlines how much you’ll have to pay in the loan offer document. Make sure you can repay the loan before taking it out, or you may find yourself owing much more than you borrowed. When you tap that ‘Apply’ button, you’re in good company. In 2017, more than 2 million people applied for financing with LendingPoint. How Is Lending Point Better Than Other Lenders? Quick deposits, once approved, it usually takes 24-48 hours to have funds deposited to your account. Lending Point is an Atlanta-based direct lender who has loaned more than $391 million throughout the USA. In the past 30 days, they offered more than $740 million to applicants. Very professional and customer oriented personal. 100% paperless online process. Submit application, upload documents and receive funds in your account upon approval. Check your offer without affecting your credit score. High rates. Any loan you qualify with a low credit score is going to have high rates compared, expect an interest rate around 15.49 – 34.99%. Bi-monthly repayments. You have to make them twice a month. Origination fee ranges from 0% to 6% and is supposed to cover the cost of setting up your loan. You can pay it upfront or spread across the loan period. Late repayment fee up to $30 for late payments. Who is eligible to apply for a LendingPoint loan? You must live in one of the states where LendingPoint does business. As of November 2017, we are in 32 states and the DC, and growing. Get a Loan Fast. In a bind? Apply now for a Jora loan and you could get $500-$2,600 by the next business day. Plus, our loans have no hidden fees. As one of the best alternatives to payday lenders, our customers have the flexibility to repay the loan over a duration of time that makes sense for their lives and budget. Unlike many traditional banks, with Jora you have the choice of paying off your loan over several installments, or all at once at any time without a prepayment penalty. For example, a $2,000 loan with an Annual Percentage Rate (APR) of 230% has 48 bi-weekly payments of $179.54. The actual number of payments required for your loan will be based on your loan amount and your pay schedule. For your convenience, we attempt to link you loan payment dates to your pay dates. Jora also offers its users a series of budget and career planning tools under its Allay program that can help you determine how you can shape your future financial situation. You can apply with Jora even with Bad Credit because it makes the decision on more than just your credit score. Sometimes loan funding can take several days. High costs. Like any installment loan, you will be facing high interest rates, but you can pay off your loan early without any penalty charges. Available only in 9 states as of March 2018. Jora offers installment loans between $500 to $2,600, although some states have varying minimums. Jora doesn’t require you to have a minimum income and doesn’t limit your income to what you earn from a job, unlike some other installment loan lenders. If you have disability, retirement, unemployment checks, etc you can always qualify for a loan. How to apply for an installment loan through Jora? Be a residnet of any of these states: Alabama, California, Delaware, Idaho, Missouri, New Mexico, North Dakota, South Carolina, Utah and Wisconsin. Supply a driver’s license number to confirm your state of residence. Currently licensed to lend in the following states: UT, MO, ID, SC, DE, WI and ND. CashNetUSA has been lending since 2004 and is part of the publicly traded company Enova International, Inc. (NYSE:ENVA). We’re driven by our mission to help hardworking people get access to credit. How Is CashNetUSA Better Than Other Lenders? Since 2004, CashNetUSA has provided emergency funds, cash advances and short-term loans to more than 3 million hardworking Americans. Not all online lenders are made equal, and when you’re looking for emergency funding, you want a lender with a proven track record. You can use the money you receive through a CashNetUSA payday loan any way you want to with very few exceptions. *Varies by state. CashNetUSA or third-party lender uses various credit reports, data sources and applicant information as part of its underwriting. Not all loan applications or extension requests are approved or receive the maximum amount permitted under state law. Not all instant decisions result in a loan approval. **Must be 21 years of age for Mississippi residents and 19 years of age for Alabama and Delaware residents. Payday Loans: Alabama, Alaska, California, Florida, Hawaii, Louisiana, Maine, Michigan, Minnesota, Nevada, North Dakota, Ohio, Oklahoma, Oregon, Rhode Island, Texas, Washington, Wyoming. Installment Loans: California, Delaware, Illinois, Mississippi, Missouri, New Mexico, Ohio, South Carolina, Texas, Wisconsin. Lines of Credit: Alabama, Idaho, Kansas, Tennessee, Utah, Virginia, South Carolina. Get 15% off on your initial loan fee for direct payday loans or brokered loans; get a 15% rebate on your first two payments for installment loans or installment-payday loans; or get a 15% rebate on actual Credit Access Bureau fees paid for installment loans in states where CashNetUSA partners with a third-party lender. Conditions apply. Check City is a direct lender based in Orem, Utah, that operates in all states. If you visit thier storefront, you could get cash within the same day. How Is Check City Better Than Other Lenders? CheckCity.com also provides services such as check cashing, installment loans, title loans, gold buying tax services, insurance, and prepaid debit cards. They also offer a preferred member program (only available to Utah customers) that gives clients who take over five loans a 10% discount and a 15% discount to clients who take over ten loans. We believe credit can provide peace of mind. So our vision for our customers in eligible states is universal access to credit that expands over time. LendUp provides borrowers who regularly borrow from payday lenders the opportunity (where available) of gradually improving their rates and terms. As you climb “the Lendup Ladder” by paying off your loan and taking out new ones, you earn access to more money at better rates for longer periods of time. This type of loan can be reported to credit bureaus. Another real advantage is that it doesn’t have loan rollovers, which protects customers from falling into a cycle of debt. As a direct lender, LoanNow can be a financial lifeline – providing personal installment loans that give you the time you need to pay them back. EZPAYDAYCASH A Faxless Payday Loan Direct Lender. We are not an online loan matching service. We are a direct cash advance lender no third party. How Is EZ Payday Cash Better/Worse Than Other Lenders? EZPaydayLoans.com is known for having a bad record with financial regulation authorities for operating in states where it is not licensed to do business. The interest rates are outrageously high, even for a payday loan. It has an ‘F’ with the Better Business Bureau for its high number of unresolved complaints. GADCapital.com is a loan merchant aggregator bringing together top micro-loan lenders under one platform. CashAmericaToday, as a legit online direct lender can help you obtain fast cash during sudden financial emergencies. How Is Cash America Better/Worse Than Other Lenders? Cash America is an active member of the Community Financial Services Association, and follows their code of best practices. They only allow a maximum of 4 loan rollovers and give borrowers the option of entering an extended payment plan. The application process is a fast and easy, but its interest rates are very high. Below is a list of loan brokers and companies that provide a free loan matching service that aims to quickly connect customers with direct lenders that offer loans even with bad credit that may work for them. Bad Credit Loans – A perfect spending history simply isn’t possible for many American households, especially in times like these. We can help when others can’t! Filling out, submitting and approving the application is free. Approved loan can be deposited into your bank account as quick as next business day. BadCreditLoans.com keeps its requirements minimal, so that even borrowers who wouldn’t normally be approved elsewhere could get a loan. Website claims that its lenders offer APRs of up to 35.99%, some payday lenders can have interest rates even over 1,200%. Cash advances can add hundreds of dollars in fees to the original cost of the loan. If you take a loan that you can’t repay, you may need to refinance or roll over the remaining amount. There are no fees to apply, but the lender you’re connected with may charge fees in addition to interest charges. Bad Credit Loans offers a free service connecting you with lenders that will present their loan offer to you with no obligation of having to accept the offer. The website offers more than just loans. Try visiting the news section to learn about the charity work and other great events that Bad Credit Loans takes part in. You can also educate yourself on any of the latest scams that may be out there too. Applying for loans through BadCreditLoans.com is free. However, the loan provider you ultimately sign with will likely charge a financing fee on top of high interest rates. You’ll have access to the complete charges of a loan before signing through a loan offer document. Along with the terms of the loan, this document lists any penalty fees and charges you might have to pay. Be an American citizen, or a permanent resident of the US. Have a source of regular income. Full name, contact information, date of birth and Social Security number. Credit type, reason for the loan and loan amount. Information from a photo ID such as a driver’s license or passport. Employment and annual income information. Personal Loans offer greater flexibility with how much a person can borrow giving you the opportunity to be qualified for as much as $35,000. How Is PersonalLoans Better Than Other Lenders? Peer-to-peer or P2P loan. It basicallly means that you will be borrowing money directly from a person or company, rather than the bank. Peer-to-peer loans ensure that borrowers are paired with individuals looking to invest in a detailed note. Personal installment loan. The process is also quick and convenient. You can request a loan online by providing basic personal and financial information. Your lender or lending partner will provide you with a loan agreement individually tailored to your financial needs. Bank personal loan. It provides a one-on-one local service to borrowers who would like to request a loan in person at their local bank. First by phone or in person and provide your personal information for the loan. Some banks even allow you to request a loan online as well. If you request a loan online you will likely be directed to the nearest local branch to complete the loan request process in person. Cash Advance® provides a free service that aims to quickly connect customers with lenders that offer loans that may work for them. Lender’s website offers a ‘Loan amount calculator’ that takes into account the APR so you can see how much repay compared to what you borrow. So If you pay your loan back on time, you’ll know exactly how much you’ll be charged. You are free to decide what to do with the money from your cash loan. Bad credit is okay – you can apply as long as you have the ability to repay. You can complete the application in about 5 minutes, you can expect to hear from the lender in minutes. Once you accept the contract you’ll get the funds the next business day. High APRs of up to 1,564%. May sell your data as a lead to other lenders. Cash Advance® has been a trusted resource for short-term loans since 1997, helping millions of consumers. While there are many companies dedicated to helping consumers get cash quickly, Cash Advance® stands apart by offering a unique level of customer care, security, and a brand that consumers can trust. Service Fees associated with the loan will vary depending on your state, the lender, and the amount of your short-term loan. We are a proud member of the Online Lenders Alliance (OLA), a national organization dedicated to promoting best practices in the online lending industry. You can borrow up to $999 through a typical cash loan, but the maximum depends on governing state laws. If you can demonstrate that you can repay the loan, your credit history will not disqualify you from approval. You will have to repay the loan on or before your next payday, although you can seek extensions in certain states. Not reside in: Arizona, Arkansas, Connecticut, District of Columbia, Georgia, Maine, Maryland, Massachusetts, New Jersey, New York, North Carolina, Pennsylvania or Vermont. PaycheckLoans is a lender matching site that operates in most states. PaycheckLoans is the easy way to find the cash you need when you need it. SameDayLoans is a lender matching site operating in Texas. SameDayLoans may be able to match you with a lender that can help. 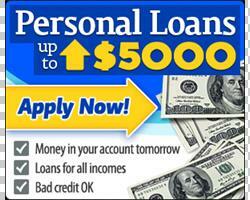 AmericashLoans Apply for the Online loan that best fits your needs. AmericashLoan is committed to working with direct lenders to provide you the same day loan. USA Payday Loans Loans you need, when you need them. USA Payday Loans works with the best lenders in California to provide the best possible service. More direct lender payday loans are added to our database all the time! With the increased State and Federal financial regulations, we removed certain lenders that had been providing online loans for years. There are a lot of companies that offer direct payday loans no third party decided to stop lending for the time being. This usually happens because the U.S. government issues regulations and strict scrutiny for short term loan companies. Therefore, most of the leading direct payday lenders are going to start lending later this year 2018. Also we should soon see several new payday loan direct lender online services in the list in the first half of 2018. We’re already beginning to see a few new installment lenders offering loans to clients that wouldn’t have been eligible because of a bad credit several months ago. Online direct payday lenders have to limit issuing their loans in a limited number of states. That is the reason why we’ve need to list those states where the lenders are able to offer their loans. We’ve listed these states as an interactive infographic image to make it easier on our visitors. As you can see from the picture above, it is difficult to get a payday loan in states like: Arizona, Arkansas, Georgia, North Carolina, West Virginia, Maryland New York and so on to the East coast. Although it’s easy to get a payday loan in states like California and Texas. This is because some states are more aggressive in how they regulate online payday lenders. Please, don’t hesitate to email us if you are aware of any direct payday or installment companies or state specific lenders that aren’t included in our list or if there are any companies that are in fact not direct payday lenders, no third party, bad credit. Get back soon to check again for more new direct payday lenders that offer online personal loans and installment loans. We will continue building the new list of Direct Payday Loan Lenders 2018! It is important to remember that getting payday loans makes sense only as temporary solutions to your financial troubles. It is highly recommended to try to Repair Your Credit. It is wise to choose a payday loan with as low interest rate as possible. You should understand the terms and conditions before getting loans to avoid disappointments. Also, high interest rates may be harmful to your credit score, especially when you don’t commit to the timely payments. Payday loans are relatively expensive when compared with other loan products. Payday loans are not recommended as a long term financial solution and they should only be taken for emergency financial needs. Remember, you are under no obligation to accept the loan offer if the terms are not satisfactory for whatever reason. There are mayby many reasons why you didn’t get approved for a loan. While short-term loans are designed for people with bad credit, you still have to be able to afford the loan. Often, people are rejected because their financial situation simply can’t support the quick turnaround and high repayment of a short-term loan. If you need money quickly, Consider our 10 Top payday loan alternatives. If you are receiving benefits, you may compare your loan options on this page. Please review the eligibility criteria and the relevant terms and conditions of the loan before submitting your application. Bad Credit Loans may consider your application even if you have bad credit. Please note that other eligibility criteria apply. You may also consider other bad credit loans on this page. Payday lenders are typically more concerned with your ability to repay the loan than other factors like whether or not you have a bank account. If you can provide proof of income that supports that ability, they’re less likely to be concerned about your lack of a bank account. Generally, a good credit score would be between 680-719. Although your score would be below that range, you can still apply for a loan. You may want to discuss your loan options and eligibility to any of the lenders listed on this page. Please visit this page https://goo.gl/hH3Cmr for the ‘Lending Point’ direct lender that offers loans up to $10,000. Please review first the Lender’s eligibility requirements and the loan details before submitting your application. You can click on the ‘Lending Point’ logo to be redirected to the Lender’s website. You can also have a look on this page and compare your options. Please click the name of your preferred lender to find out the details and the minimum eligibility. You may then click the lender logo button to submit your loan application online. How can I get a payday loan without a bank account ? The lenders that offer loans to people with no bank account are listed above. If you have a prepaid debit card, they can transfer the funds to your card once you are approved. You may further review the guide on how you can compare your options above. Then contact the lender directly to discuss your options and eligibility. Can I borrow $20,000 and pay a big note each month say for a year then pay it off early? your finance charges. Thank you. I dont see how anybody could have a bad thing to say about borrowing money from them. Eveerything is printed in Black and White and signed by the individual. Get a Loan, follow the payment schedule, and it gets paid off. Simple. Its expensive but you know that going in. I had no problems whatsoever. Convienient automatic payments, A schedule you select, Almost instant receiving the funds in your bank account, I’m going to need them again here soon and will definetly contact them. yes, the interest rate is high. then again, they are loaning to people who, for whatever reason, are unable to secure financial assistance (READ: poor credit). Myself included. Each time I have had a loan with them (twice so far) everyone has been up front, honest and friendly. They made sure I understood that it was in my best interest (no pun intended) to pay off the loan in full as quickly as possible due to the high rates involved. Every time during my last loan I had a family emergency and had to push back my loan repayment a few times. Each time they were helpful, friendly and courteous. I’m in PA, have bad credit 590 however make decent money, I have a checking account and employment is same places 6 years running. Where is my best bet, take home is 1500 a pay evry other week.